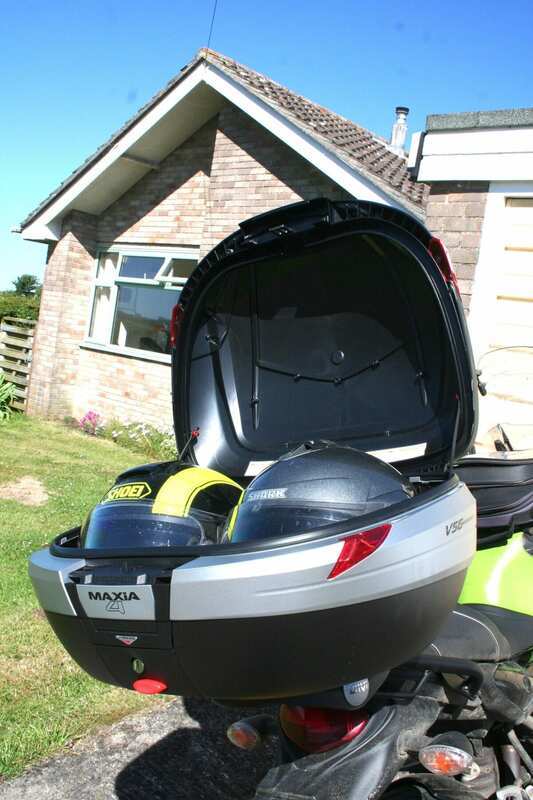 It’s an old chestnut – hard luggage vs soft – and after five years with a Ventura back bag on my Suzuki Gladius, I’ve replaced it with the latest Givi topbox; the big Maxia 4. 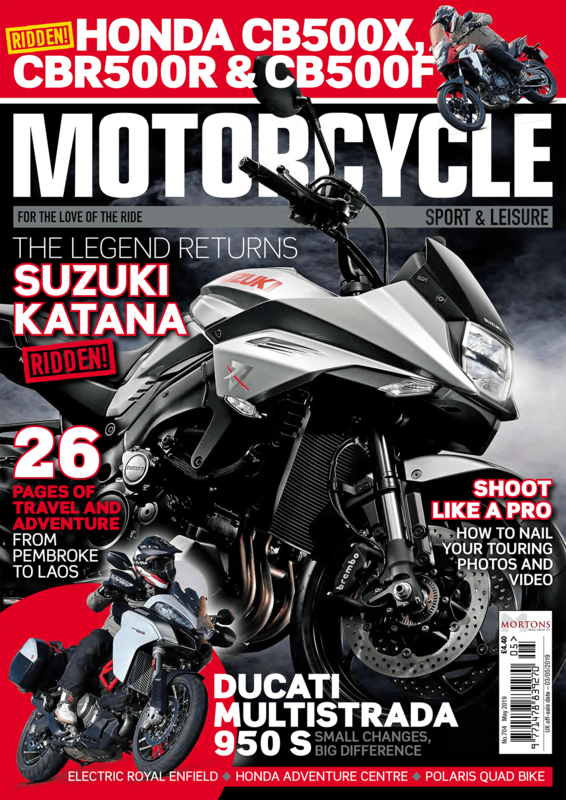 If you believe the specs, the Givi offers 56 litres and the Ventura 51, while the Givi costs more, but not that much more. The Ventura has been big enough to carry enough stuff for a weekend away (just) and it’s easy to slip on and off the bike. Despite having been through many downpours, it’s never let in water. The trouble is, it’s a bit of an awkward shape, being tall and thin with a top opening about 300 x 220mm. Retrieving small items means plunging your arm down into a dark pit and groping around. For really small things, there are three external pockets, which are easier to use, but it’s still not that user friendly. The various zips aren’t lockable, though I guess you could add one of those backpack security meshes. 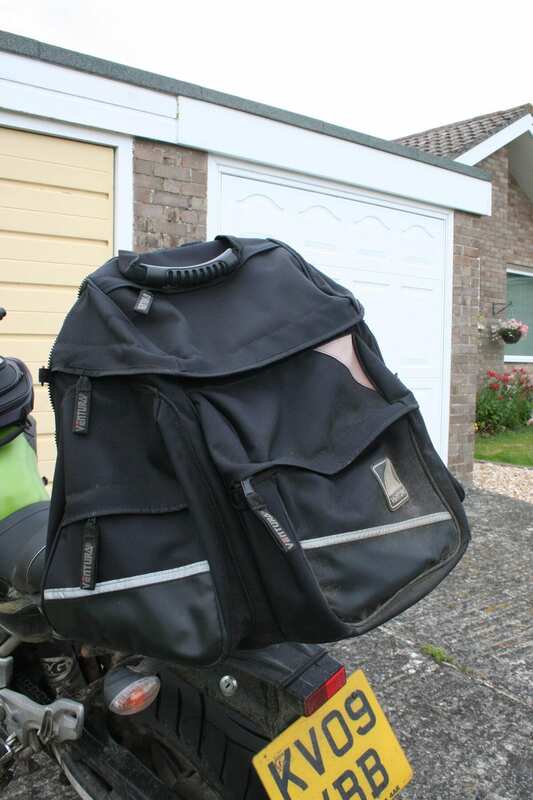 It is possible to lift the bag off, but because the handle is off-centre, it’s a pain to lug along for any distance if you’ve got a lot of weight on board. 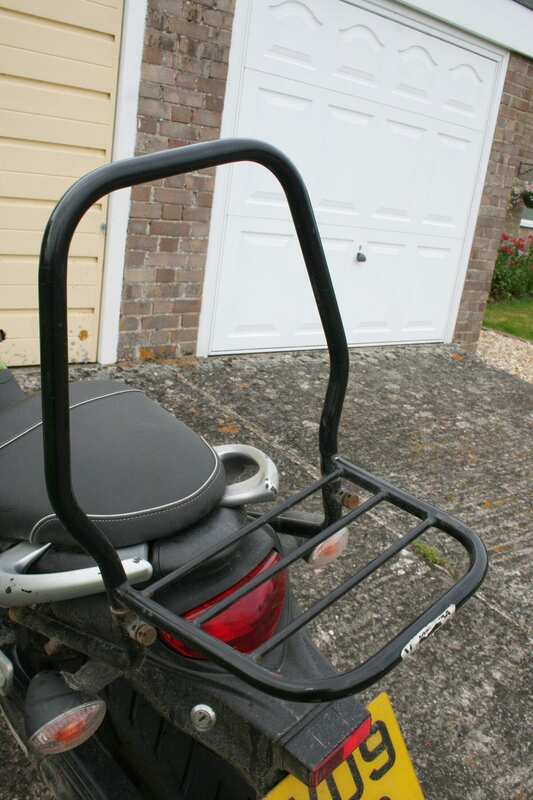 The Givi is different in every way. Some people don’t like the commuter/tourer image that goes with top-boxes, but compared to the Ventura it’s just more… civilised. For a start, it’s much easier to use, opening at its widest point to give a cavernous aperture of 530 by almost 400mm. Not only can you just chuck stuff in, it’s easy to see what’s there. 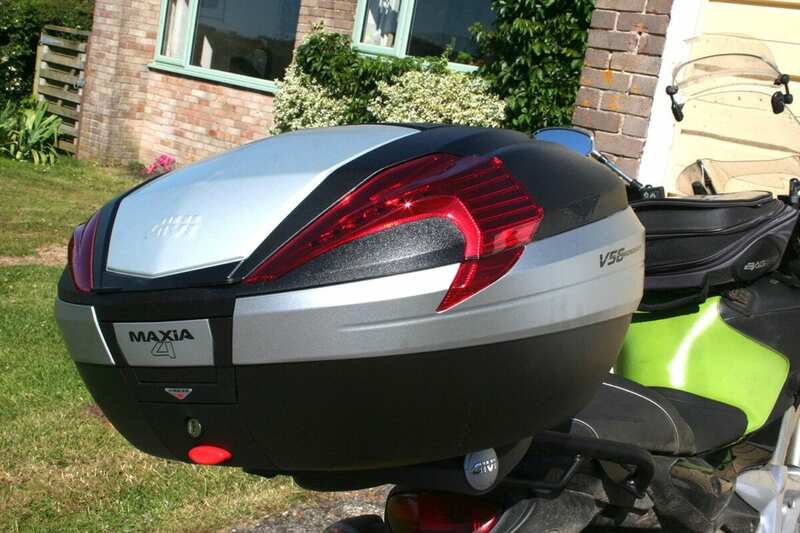 The wider, lower shape is more convenient too, and Anna the pillion tells me that crushable party skirts can be laid flat in the topbox and thus arrive uncreased – she should know, she’s been looking after my party skirts for years.